The better I get at disc golf, the less I actually respect the top pros. 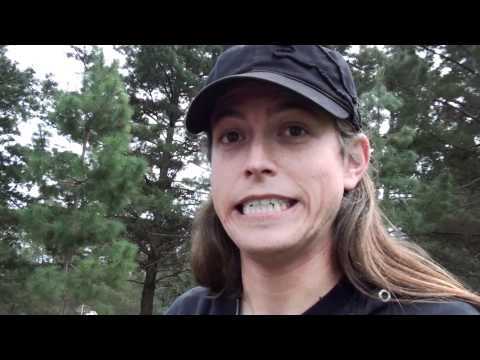 I mean, I can throw my Katana almost 250 feet! Of course, in saying that, I’m being as sarcastic as humanly possible. I just like to see ridiculous statements in print. In all reality, the more time I put into this amazing game, the more amazing it is to see the best players put up low numbers on the country’s hardest courses. In picking a favorite, I have to decide whether or not I use factors other than skill-set. Just like any other professional sport, sometimes you enjoy a particular player because of his attitude, or even just one or two iconic moments. As a kid, I used to like John Starks of the Knicks because of his playoff, left-handed, baseline slam over half of the Bulls lineup. It was only one great play, and he wasn’t a hall of fame player, but it stuck with me. I haven’t seen too many disc golf moments that I’d classify as “iconic” but there have been a couple I’ve enjoyed (granted, it’s been via YouTube…). Nikko Locastro, with his wide stance putt style. In 2010, after battling over the top spot in the NT, and the World Rankings with Dave Feldberg, Nikko Locastro was no longer a kid, and officially the real deal. He began 2011 by playing a tournament in Arizona before the official season started. The local favorite, Paul Ulibarri, was one of only a handful of 1000 rated players competing against Nikko for the win. It came down to a final hole, and Nikko was down by one. For these guys, it was a fairly easy hole, or at least one they could birdie on most occasions. I don’t know if Paul had thrown already or if he threw after, but I know he birdied it. 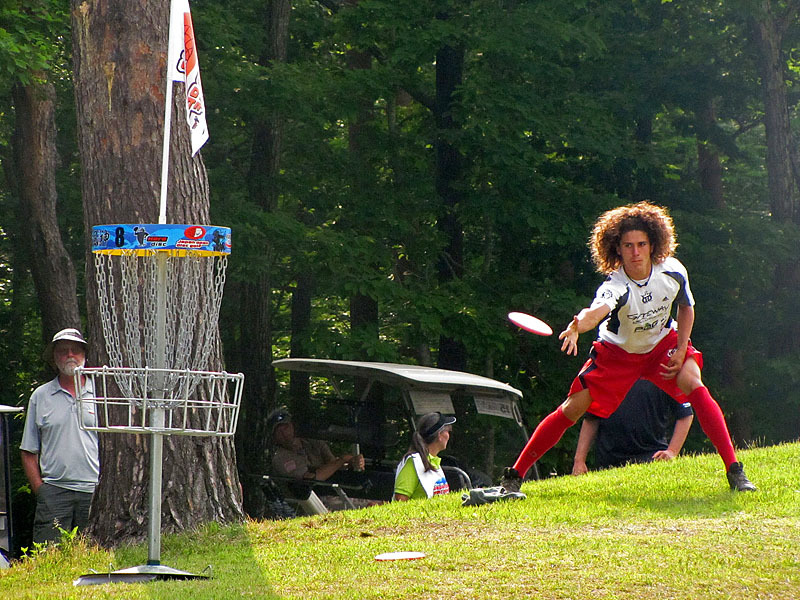 This left Nikko with no other option but to throw an ace, or go home as the runner-up. Well, he threw a 1. Check it out here. What’s not to like? A Pretty Bad and Funny Picture of Barry Schultz! When starting out, new disc golfers come to the realization fairly quickly that they need better form and mechanics. 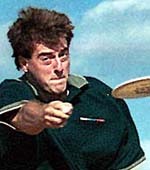 They google search for “how to throw a disc” and “disc golf drives.” For me, I instantly honed in on Wisconsin’s Barry Schultz. He comes off in his interviews as a little hokey, but this just adds to smooth persona of being calm and collective. He’s seen playing with headphones on, and his form is crisp and clean. It’s ironic that the rumors I’ve read say that he broke his hand at the start of the 2010 season by punching a car in frustration (no clue if this is true, I just find it funny). In any case, here are the two clips that I kept coming back to as a new player. Here he explains how you need to stay in control. And here is just a slow motion clip of him throwing a drive- trying to mimic this can only help! Boiling it all down though, the most likeable disc golfer on YouTube (after all, I don’t have many other ways to get this stuff!) is one Gregg Barsby. I could go into detail about how he’s a funny dude, and he can play at a high level- but it’s easier if I just sum it up like this: King of the Lake and Iron Leaf. Check them out folks, they won’t disappoint. This entry was posted in Touring Pros and tagged barry, barsby, best, disc, favorite, golf, gregg, locastro, nikko, pro, schultz, touring, youtube. Bookmark the permalink.